The government has announced that from 2020, it will move to a framework for regulating copper and fibre services that is similar to the one used for utilities like electricity lines. According to the government, the changes will help to deliver the stability needed to support investment in high quality and affordable communications services for New Zealanders. • Ruling out any changes to the regulation of broadcasting infrastructure. “Digital technologies are transforming the way New Zealanders live, work and do business. To help reach our 2025 broadband target and to keep our economy growing, we need the right laws in place to make sure high quality and affordable communication services are available for consumers and businesses,” said Communications Minister Amy Adams when making the announcement. “The communications sector is vastly different to the market in 2001 when the Telecommunications Act was introduced, and it’s time for our laws to catch up. Industry response to the announced changes has primarily been positive. InternetNZ called the changes critical and welcome. “Minister Adams has rightly set aside calls by some in the telco industry to allow an ‘industry led solution’ to manage pricing after 2020. 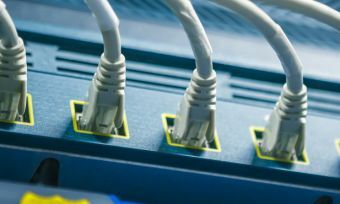 Regulating copper and fibre broadband wholesale prices from 2020 is the right move for Internet users, the industry and for network builders like Chorus,” said InternetNZ Chief Executive, Jordan Carter. The announcement also clarifies that the Government intends to use a ‘Building Blocks Methodology’ (BBM) to price these services, as is commonly used in utilities. “There is a lot of detail still to consider in how any pricing method balances the interests of ISPs, network owners and users. “It’s critical to ensure that network builders are not over-compensated at the expense of Internet users. The new system must not deliver endless price increases along the lines of those seen in the electricity market,” said Carter. Chorus chief executive Mark Ratcliffe also welcomed the certainty that he expected a new regime would bring after a six-year process that saw several major changes in the proposed differential between charges for copper and fibre services, which caused value-destroying gyrations in telecommunications providers’ share prices. And Vodafone welcomed confirmation that the promise to open fibre networks to increased competition will remain as a key feature of the New Zealand communications market in 2020. “The Government, on behalf of all New Zealanders, has made a huge bet on fibre through UFB, with the full economic benefits set to tally into the tens of billions,” said Vodafone CEO Russell Stanners . The Telecommunications Users Association of New Zealand was a little more muted in its response to the government announcement, stating it is generally supportive and that the changes are generally in line with their submission to the original discussion paper, but that more detail is needed. “We are generally supportive of the move to the utility style regulations and will engage in the discussion on the specifics to ensure we vigorously support the right outcomes for business and consumer users of these services,” said Craig Young, CEO of TUANZ. You can read more about the current telecommunications review here.